Doddl exhibits at British Inventors Project - Gadget Show Live! Product Design & Development » Doddl exhibits at British Inventors Project – Gadget Show Live! 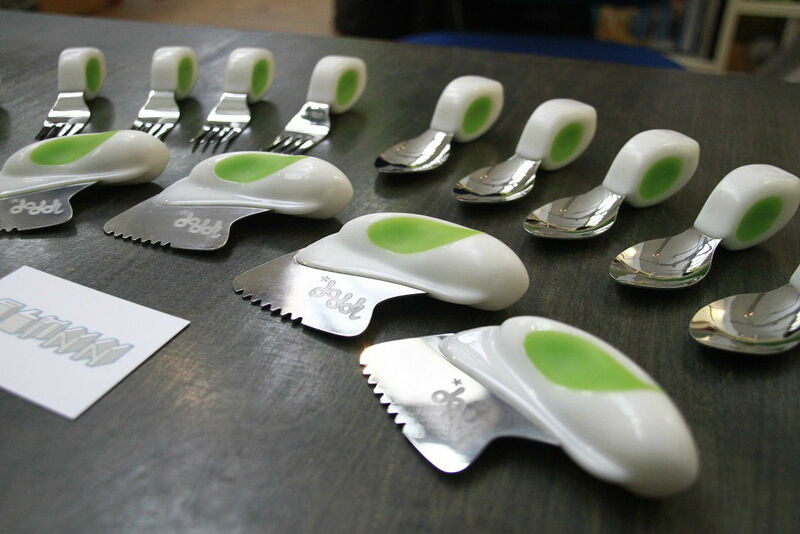 We gave a little taster earlier in the year about our Children’s Cutlery Project Doddl. 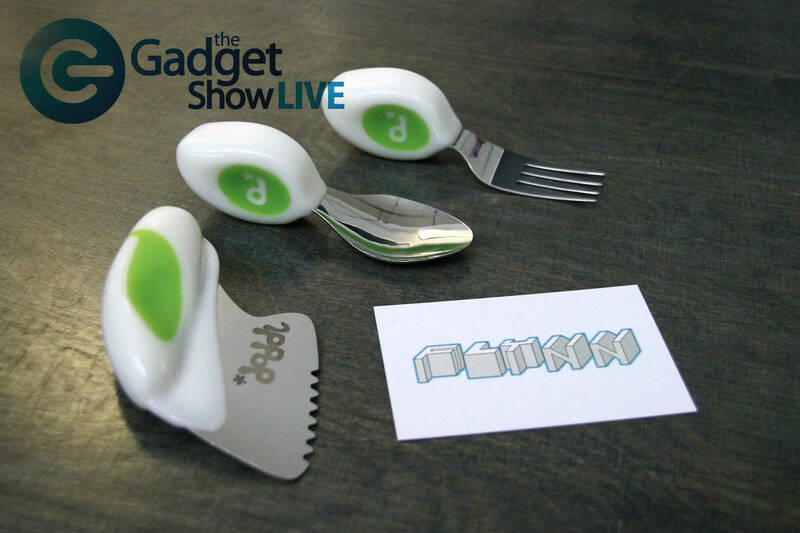 This week we can announce Doddl is exhibiting at the Gadget Show Live! event ( Birmingham NEC 7-12 April ) having been included in the Design Councils British Inventors Project. Being a pure ergonomics focused project this was right up our street and a pleasure to develop Catherine and Rosie’s original idea for a fork which could be used with ease by very young children into what became Doddl a full cutlery set, created by us. We guided our client through an intensive Ergonomics research and development project on a tight budget, we worked with Child development specialists and countless little helpers played a vital part in helping us arrive at the optimal form. We developed in the region of 20 different concepts that were intended to increase “pincer grip” development and hand eye coordination and a highly efficient knife that takes the strain out of cutting food, we took our sketch model forms and 3D scanned them which helped us sculpt our CAD Solid Model forms, which we then took through a Design For Manufacture stage, creating a full assembly design using insert injection molding and over-molding of elastomers. In fact with the help of our partners, we helped our client explore material options, even testing TPE and TPV plastics for compliance for the fatty food migration testing. Great to see Doddl is getting the attention it deserves from the Design Council and The Gadget Show live – Doddl is now looking for your support in taking the product forwards into manufacture.